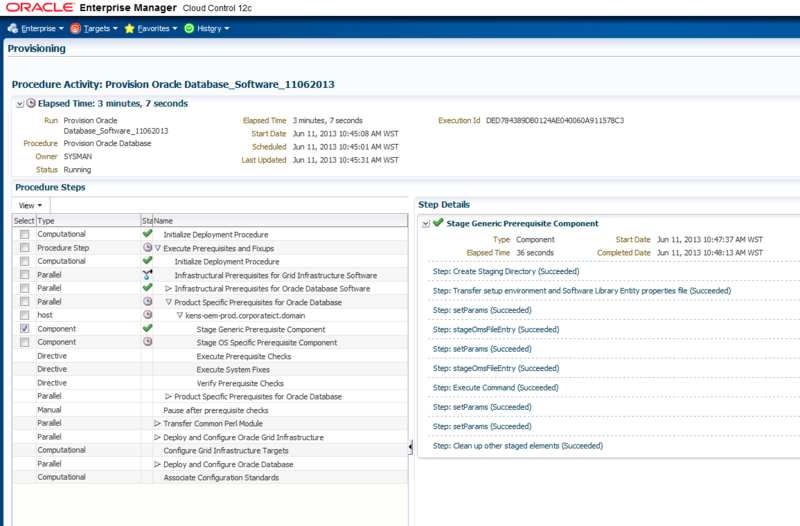 Let us have a look at the Provisioning and Patching feature in OEM 12c. 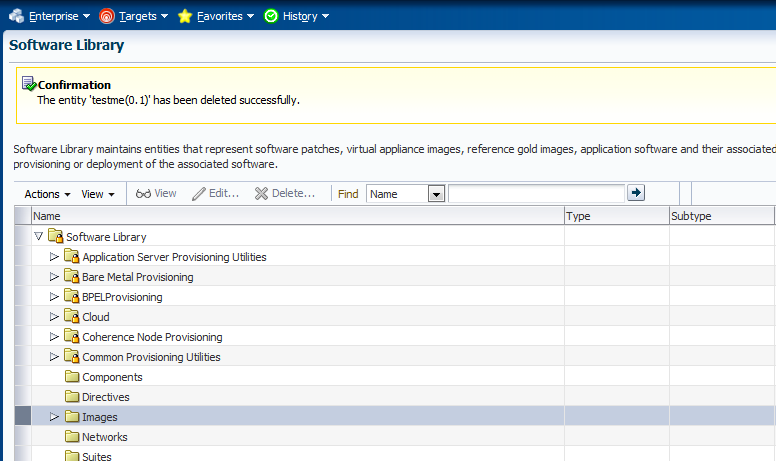 We have a ‘gold image’ of a 11.2.0.3 Oracle Database Software where the Jan 2013 PSU has been installed. We now want to deploy this particular 11.2.0.3 version of the database software on a number of target hosts. 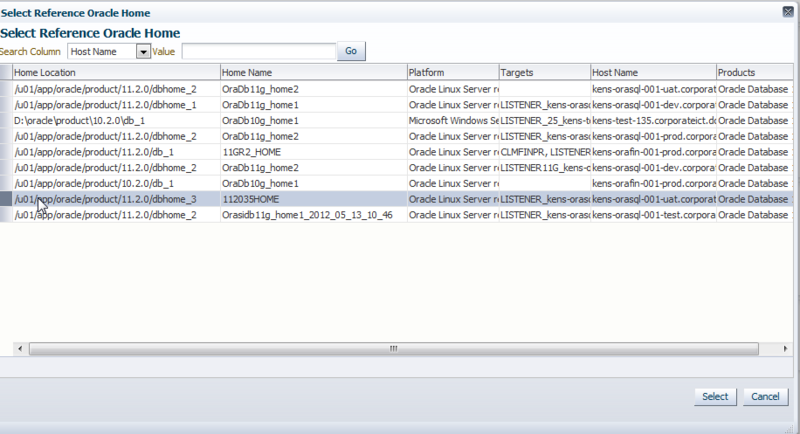 Note – the deployment procedure outlined below assumes that the 12c management agent has been installed on the target hosts and the Software Library has been setup and configured in OEM 12c. An Oracle white paper on this subject has recently been released. Here is an overview of the steps involved. 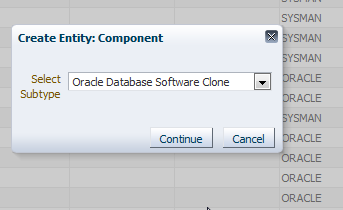 In the Create Component from list box, select Reference Oracle Home because we are going to use this particular Oracle Home as the basis for the software clone or gold image which we are then going to store in the Software Library. 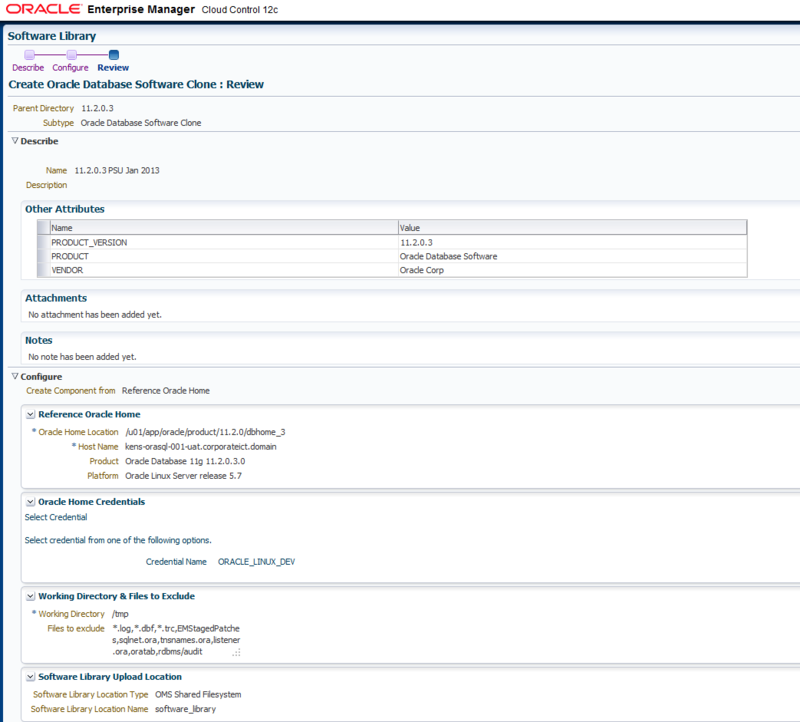 Review the information related to the Create Oracle Database Software Clone. Click the Save and Upload button. We can see that the component has been added to the Software Library but the status is showing Incomplete because the clone job is still not completed. 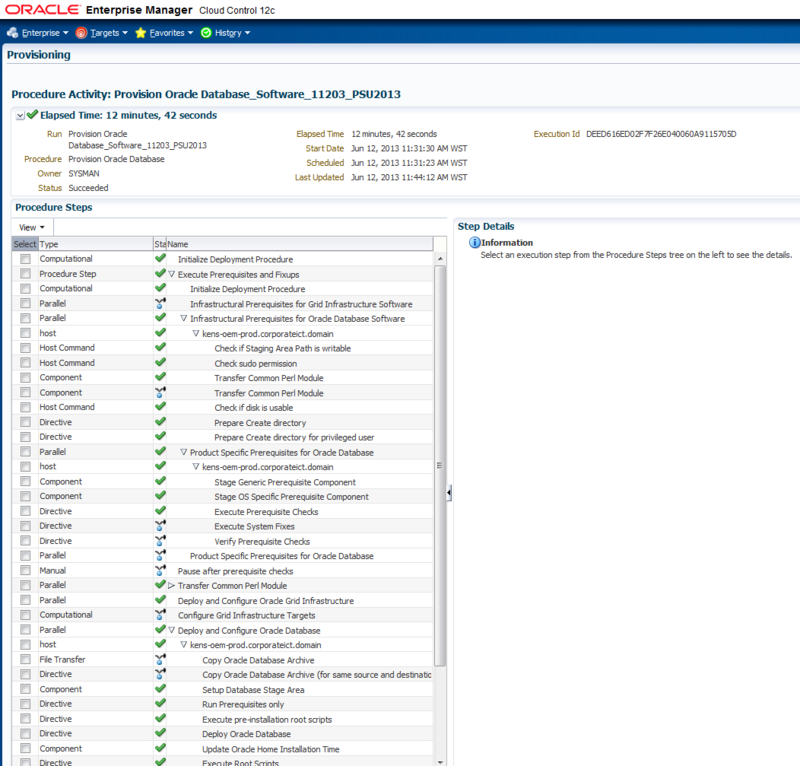 From the Job Activity menu we can monitor the progress of the software clone job. Once the job has completed successfully, we can see that the status of the component 11.2.0.3 PSU Jan 2013 has changed to Ready. Let us now deploy the software clone on a target server. 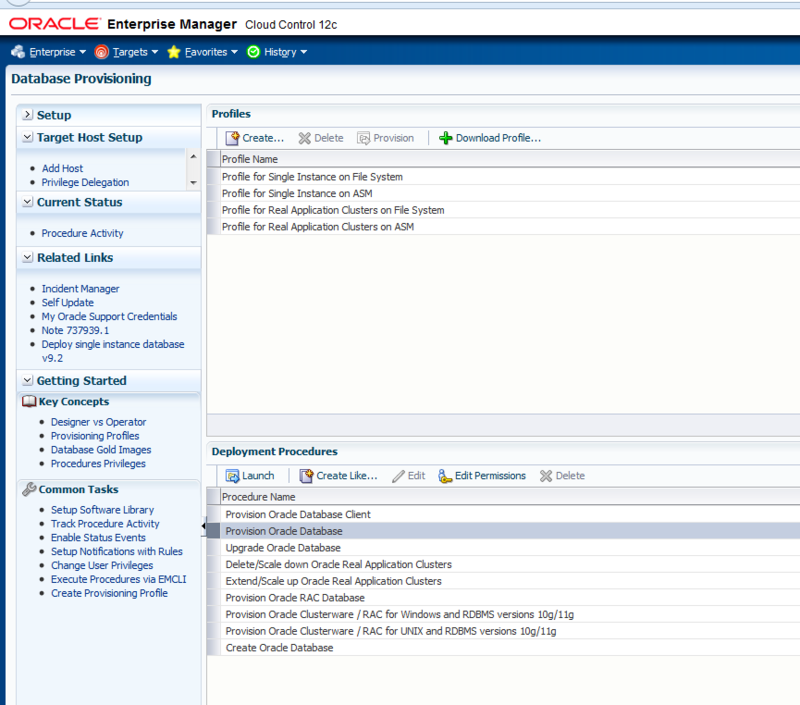 From the Enterprise menu, select Provisioning and Patching, then Database Provisioning. 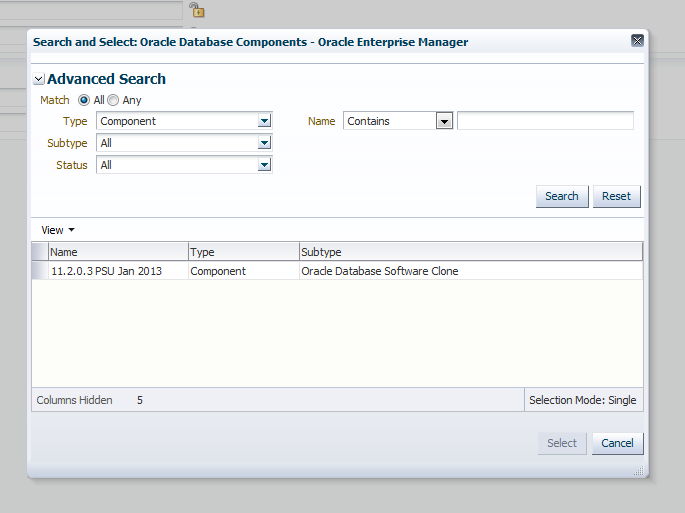 Highlight the Procedure Name Provision Oracle Database and click Launch. Select the options as shown below. We are only deploying the Oracle Software and not creating a database and this is not a Grid Infrastructure environment. 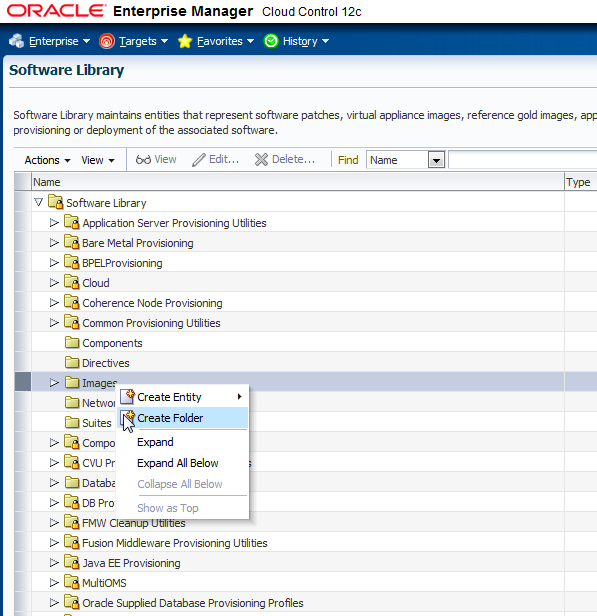 Click on the Add button to select the host where we are going to deploy the software clone. Let us briefly discuss the significance of the icon in the shape of a lock which can be seen in several of the deployment screens. 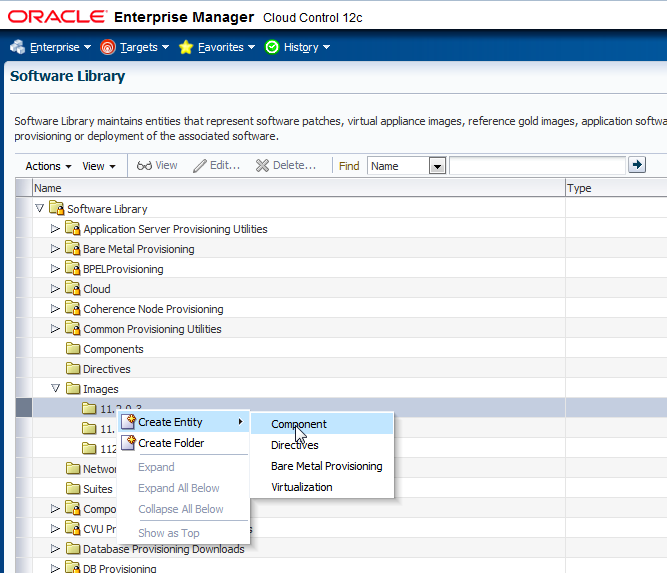 OEM 12c has introduced a new concept of Designer and Operator roles. 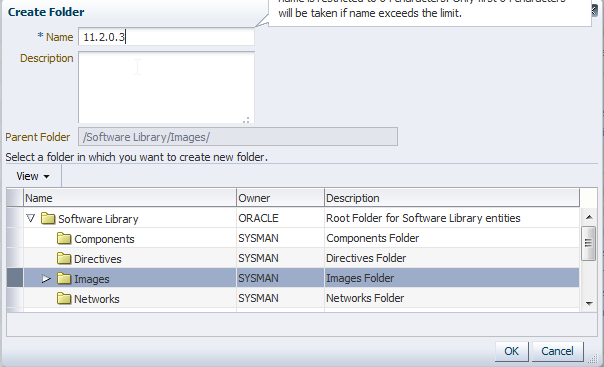 An OEM user with Designer role privileges can ensure standardization in deployment procedures by locking down deployment procedure inputs. Once these input values are locked in, when another user who has now Operator role privileges runs the same deployment procedure, they cannot edit the procedure and have to run the deployment with the values which were input and locked in by the OEM user who had Designer role privileges. Select the credentials for the target host. The deployment procedure also executes the root.sh so we have also chosen a privileged user account with sudo privileges. We see that the tasks Setup hosts is now having the status Completed. We now need to complete the task Deploy Software. Click Next. Select the deployment type as Component and we see the component which we earlier saved to the Software Library displaying. 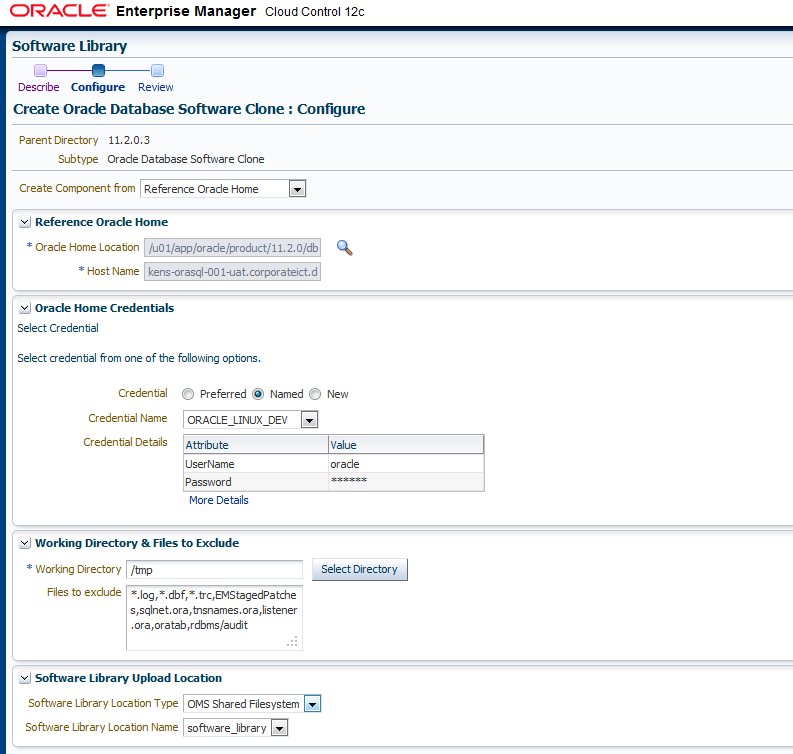 Select the location for the Oracle Base and Oracle Home as well as a temporary working directory or software staging location. This location is cleaned up after the deployment job completes. We now see that the Deploy Software task has the status Completed. We can schedule the job to either run immediately or at a later time. Provide a name for the deployment job. Review the job and click Submit button. We can monitor the job while it is running and can see the different stages the clone software deployment job goes through.